ESPN has recently released their latest short film, from Matt Ogens, titled “From Harlem With Love,” as part of their 30 for 30 documentary short series. The film, “From Harlem With Love,” chronicles the journey of the legendary “Clown Prince of Basketball,” Meadowlark Lemon and the Harlem Globetrotters as they embark on a mission to Moscow to diffuse international hostilities with their signature brand of humor. 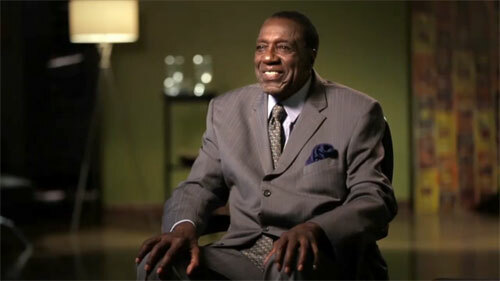 Meadowlark Lemon speaks about his 1959 mission to Russia in the video: "From Harlem With Love." Those of us who lived through the cold war will well remember that tensions between the USSR and the United States were high in 1959, with the seemingly constant threat of nuclear war. As designated United States Goodwill Ambassadors, it was Meadowlark Lemon and the Harlem Globetrotters who traveled to the heart of the Soviet Union at the height of the Cold War and bridged a cultural gap many thought would stand forever. Watch the video and take a Journey back in time in “From Harlem With Love”. Meadowlark Lemon’s name and patented hook shot are ingrained in the memories and hearts of generations who recognize him as the most popular member of the most beloved sports team in history, The Harlem Globetrotters. Meadowlark helped to change the face of American history, black history and sports history. For more than 30 years Meadowlark has served as a motivational and inspirational speaker, weaving theory and story, personal experience and humor, wit and love that both educate and inspire audiences of all ages. For booking information, contact Meadowlark Lemon’s booking agent for speaker fees or call 1.855.303.5450.